Arnold Contract benches are composed of wood bench bodies with solid wood caps and solid wood bench ends. Bench bodies are ergonomically designed with curved plywood and solid wood caps. 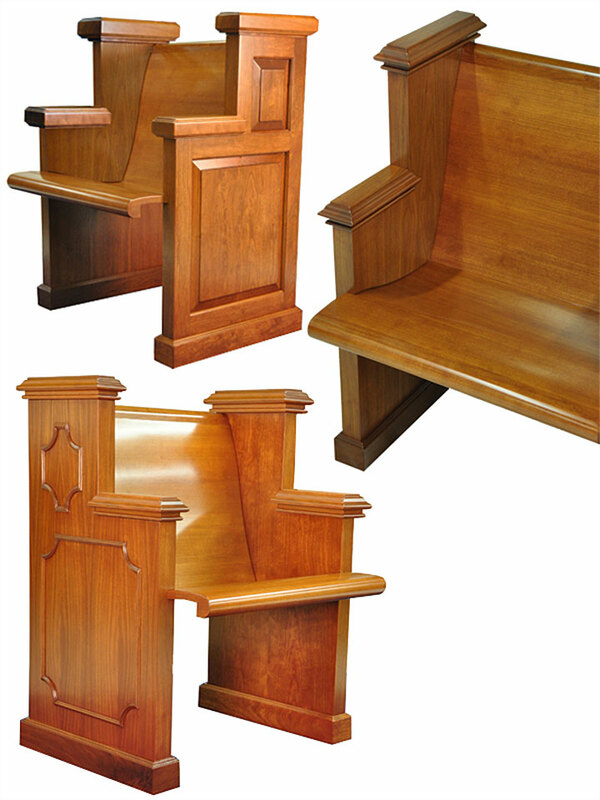 Mock-ups showing two of the four Bench End Styles we offer. Top left: Kent Style with solid wood raised panels. Bottom left: Traditional Style features applied picture frame molding. Benches up to 8' long will be shipped fully assembled. Benches over 8' will ship KD.